Click Here To See Batman / Catwoman Wedding Issue Comic Book! 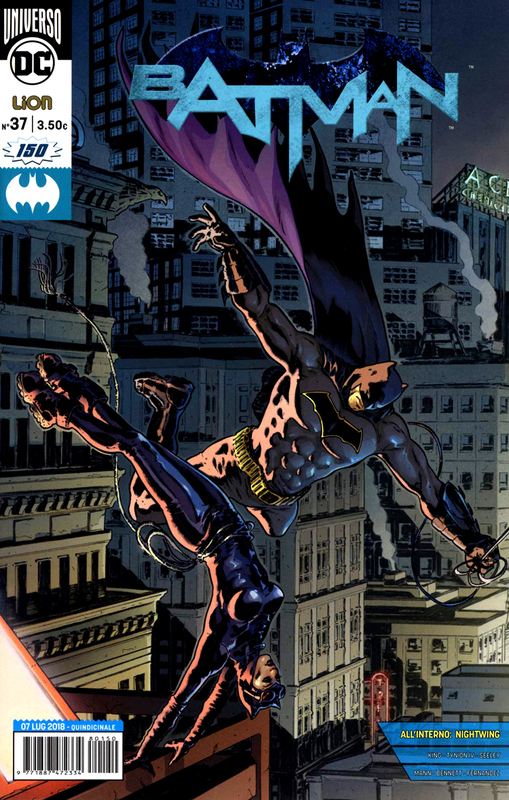 Click Here To See Batman #37 Comic Book! Check out the STUNNING detail on this cover, which was penciled and inked by the great Italian artist: Giovanni Timpano! 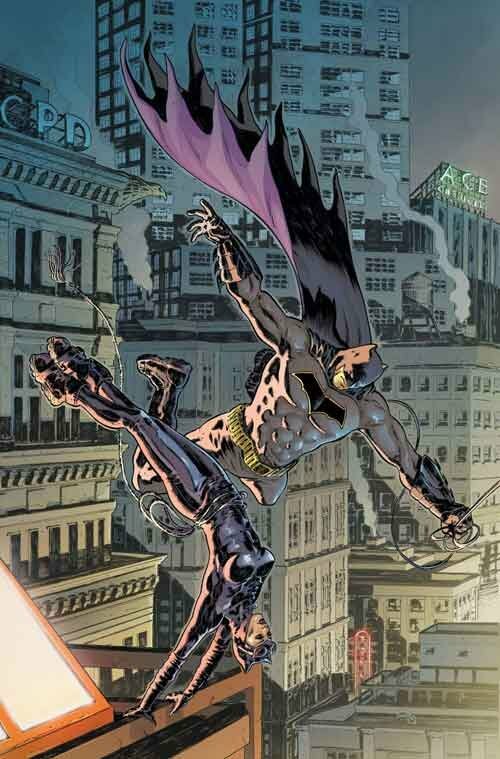 This original art was used for the cover to Batman #37, as well as the cover for Italy's Batman / Catwoman wedding issue, which was numbered Batman 150. Just a great cover with this great BAT/CAT Couple finally tying the knot! The BACKGROUND BUILDINGS are as spectacular looking as the 2 drawn figures with a great 3-D effect here, which few comic artists can create! 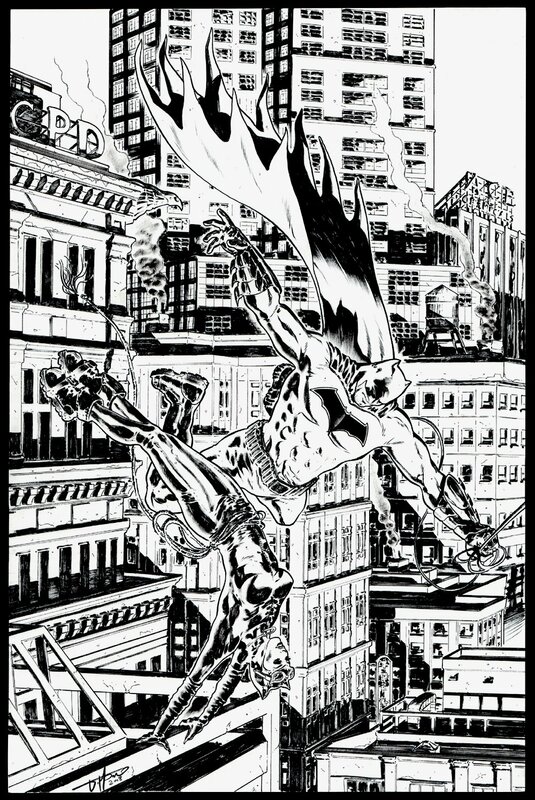 Compare this AWESOME cover art to the published comic book in the red link above! ALL art on our website (including this one) are able to be purchased with VERY fair time payments, and trades are always considered towards "ANY" art on our website! Just send us an email to mikeburkey@aol.com and we can try to work something out.